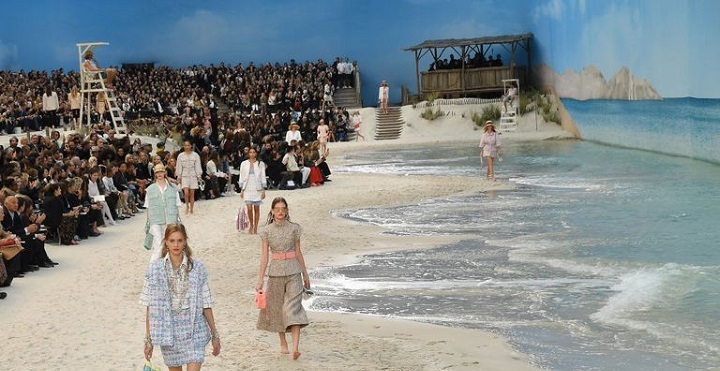 We always know the creative director of Chanel, Karl Lagerfeld, doesn’t do things by halves when it comes to staging a runway show. After all, the German creative director reimagined a thick forest into a runway for its autumn/winter 2018 show, or let’s not forget his Spring/summer 2018 show where models paraded on wooden constructed bridge surrounded by a flowing waterfall as well as that iconic runway display at the Paris’s Grand Palais, where the monumental Eiffel Tower was recreated under the majestic glass roof for its Couture autumn/winter 2017, so how could we expect anything less? However, his fun-filled, fantasy induced, spring 2019 show has surpassed all expectations though. 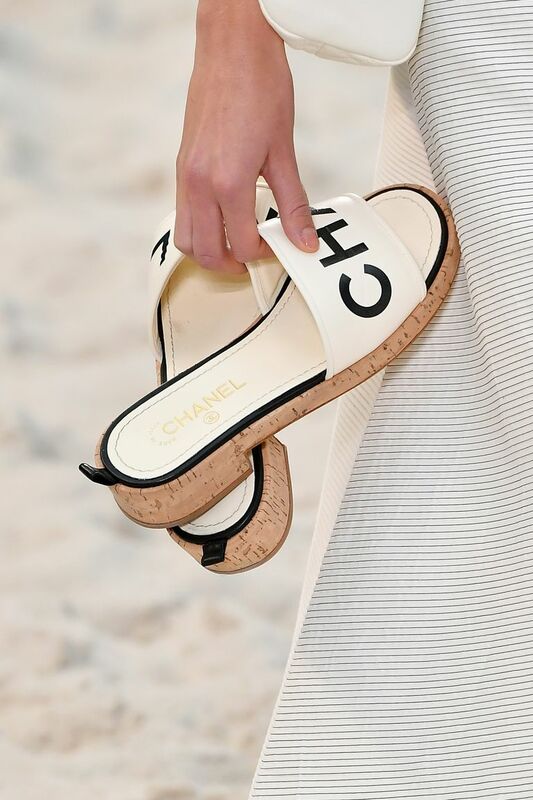 Transforming the Grand Palais once again but this time, into a real-life beach, models walked the sandy seashore barefoot, parading the brand’s latest offerings and carrying their shoes in hand. According to the reports, there were even on-duty lifeguards, tiki hut, and a mini boardwalk made for the creative director to take his final bow. And as for the collection, while we are obsessed with every outfit, the accessories really caught our eye. To say the least, this isn’t your average runway show.